CDG certification limited provides FCC certification services in Delhi, Mumbai, Kolkata, Chennai, Bengaluru, Hyderabad & all parts of India. With our rich experience, we are offering FCC Certification Services. FCC mark is a certification mark on electronic products which is manufactured or sold in the United States which certifies that the electromagnetic interference from the device is under limits approved by the Federal Communications Commission. These services are well known across the market for their high quality. The FCC Declaration of Conformity or the FCC label or the FCC mark is a certification mark employed on electronic products manufactured or sold in the United States which certifies that the electromagnetic interference from the device is under limits approved by the Federal Communications Commission. The FCC label is found even on products sold outside the US territory, because they are either products manufactured in the US and had been exported, or they were manufactured in other nations which have US as a prime market. The Federal Communications Commission established the regulations on electromagnetic interference under Part 15 of the FCC rules in 1975. After several amendments over the years, these regulation were reconstituted as the Declaration of Conformity and Certification procedures in 1998. By the regulation, the FCC DoC certification mark is mandatory for devices classified under part 15 (IT equipment like computers, switched-mode power supplies, monitors etc., television receivers, cable system devices, low-power transmitters, un-licensed personal communication devices) and part 18 (industrial, scientific, and medical (ISM) devices that emit RF radiation) of the FCC regulations. Depending on the type of equipment that the manufacturers have, FCC certification might be required. The two most common FCC Certifications requirements are FCC Part 15 and FCC Part 68. Telecommunications equipment has to be tested and be in compliances with FCC Part 68. FCC Part 68 is the FCC Certification for connection to the telephone network. FCC has privatized some of the FCC Part 68 requirements. More information on regulatory compliance can be found at FCC Part 68. The other most common FCC Certification for most electronic equipment is FCC Part 15. FCC Part 15 covers unintentional testing and evaluation as well as low power un-licensed transmitters. More information on this can be found at FCC Part 15. CDG helps you in getting FCC certification through FCC accredited labs. Through regular research and development, we are offering an exclusive collection of FCC Compliance Testing Certification to our valuable clients. These services are offered with following the set industry guidelines. In addition to this, these certification services are admired for its low cost and timely execution. 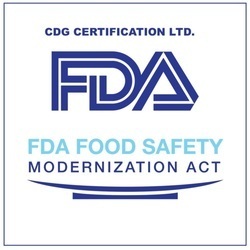 The FDA Food Safety Modernization Act (FSMA) is transforming the nation’s food safety system into one that is based on the prevention of foodborne illnesses. It will be a system in which the food industry systematically puts in place measures proven effective in preventing contamination. Keeping food safe to eat is paramount, no matter where it is produced, whether conventional or organic, whether the operation is small, medium or large, whether it’s produce or processed foods. The FDA has finalized the foundational rules that will implement FSMA, including the Preventive Controls rules for Human and Animal Food, the Produce Safety rule, and the Foreign Supplier Verification Programs (FSVP) rule. There will be extensive outreach to industry to help ensure that everyone who seeks to comply with these rules, whether legally required to or not, understands the new requirements. The compliance dates vary, in part, according to the size of the business. Food industry training will be an important component of successful implementation. The Produce Safety Rule and the Preventive Controls rules all have training components, although they are not the same for each rule. There will be ample time for farmers and food producers to come into compliance. Compliance dates for the rules are staggered according to the size of the business. With FSMA, the food industry is shifting to a proactive culture that focuses on preventing contamination events, rather than reacting after the fact. CDG can help you ensure compliance across your food facilities and supply chain with FSMA audit, testing, training and technical services. The FDA Food Safety Modernization Act (FSMA) is transforming the nation's food safety system by shifting the focus from responding to foodborne illness to preventing it. The FDA FSMA rule on Foreign Supplier Verification Programs (FSVP) for Importers of Food for Humans and Animals is final, and the first compliance dates begin May 30, 2017. ... The FDA is committed to helping importers the FSVP requirements. Achieve certification and help prepare your organization for FSMA compliance. 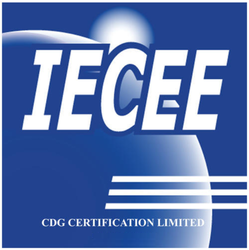 The IECEE CB Scheme is an internationally recognized scheme in which organizations from over 50 countries mutually accept certificates and test reports for electrical products. The scheme is operated by the IECEE (IEC System for Conformity Testing and Certification of Electrotechnical Equipment and Components). CB Test Certificates and CB Test Reports are issued by participating certification bodies (NCB*1) and testing laboratories (CBTL*2). CB Test Certificates are mutually recognized by participating bodies and can be used to obtain approval in their individual certification schemes.